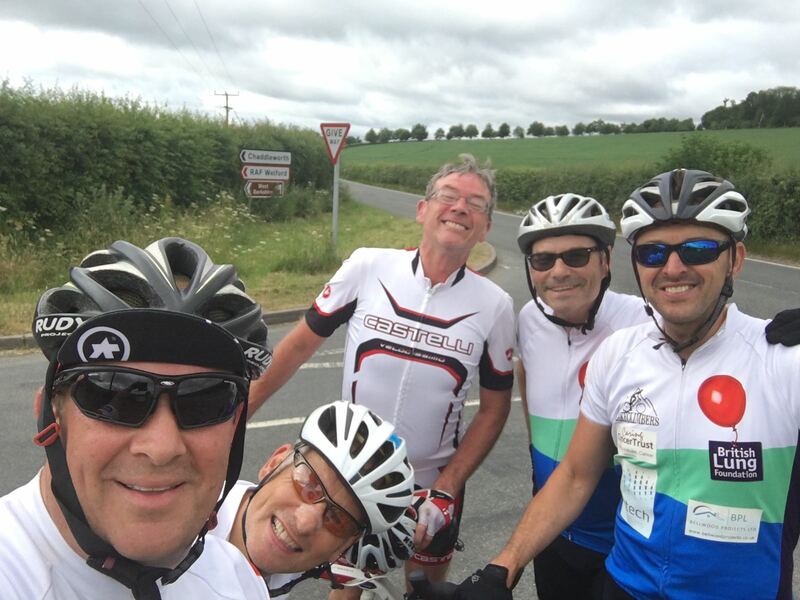 A TEAM of cyclists training to cycle 700km across the French Pyrenees & The Alps in aid of 2 amazing charities (British Lung Foundation & Caring Cancer Trust) have raised £10,000 in four months. The Peaky Climbers group from Wantage are raising money for charity in memory of Valerie McIntosh who died from Idiopathic Pulmonary Fibrosis in 2007 and Grove teenager Maisie Norton who passed away in October 2015. Maisie died after a six-year battle with cancer and the eight cyclists are fundraising for the Caring Cancer Trust which organises holidays for terminally-ill children and teenagers – including, a few years ago, Maisie and The British Lung Foundation. This week…The Friends Do Apres Ski Party!! !